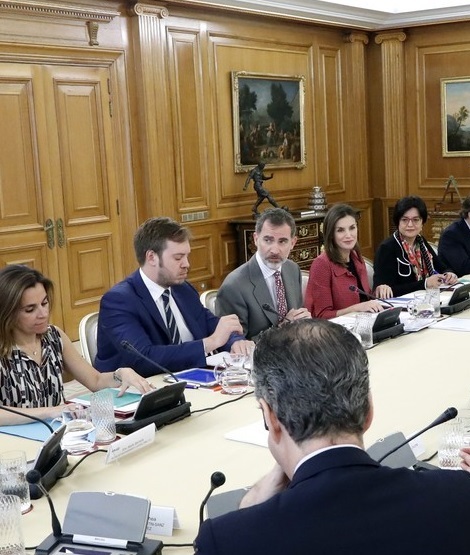 Yesterday King Felipe and Queen Letizia attended the meeting of the Delegate Commission of the Princess of Girona Foundation at the Palace of Zarzuela. The meeting was held to discuss the balance of actions of the Foundation during the year 2017, the state of accounts of the same and the analysis of the developed programs and the follow-up that the different working groups of the Foundation carry out. 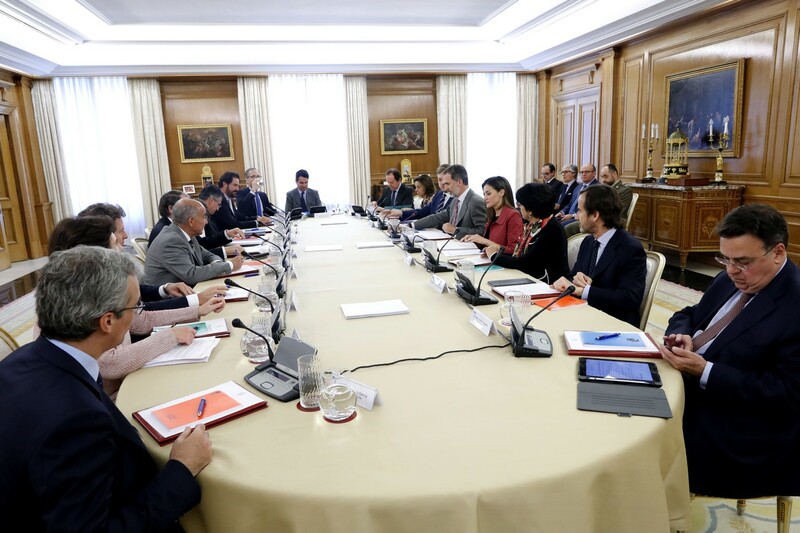 Likewise, the Delegated Committee of the FPdGi analyzed the preparations for the annual ceremony of the Foundation Awards, which will take place at the end of next June in Girona. Letizia was wearing a maroon blazer with a black top underneath. Later in the day Queen Letizia will attend the scientific monologue contest “FameLab España 2018”.